A friend of mine once made the observation that tourists, hot weather and mosquitoes get here at about the same time each year. That acquaintance was John Gillikin of Buxton. He’s no longer with us, but you have to admit his tongue in cheek statement is pretty true. When I have more time, I’ll have to tell you a little bit about Gillikin. He was one of the more colorful characters of Hatteras Island and deserving of remembrance. Getting back to this time of year when all those things happen, I need to throw in another item… new oysters. They’re called spat, and as the rising water temperatures of the sound hit around 70, oysters here begin to spawn. 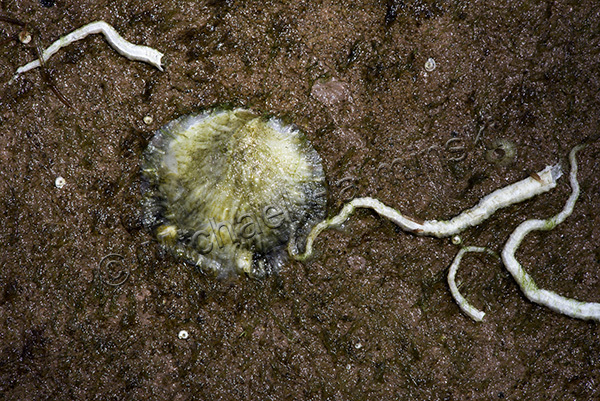 Male and female oysters emit sperm and egg into the water and wherever they meet, an eyed larvae is the result. It swims in search of substrate to attach and grow. Mortalities are high and those that find attachment, develop a shell and begin their life cycle as a true oyster. Last week I found 8 new ones on my research tiles out in Pamlico Sound. About a half inch in size, they were just weeks old, perhaps 4 or 5. That was about the time the water temperature was spiking from the low 50’s in mid April to upper 70’s by the end of May. 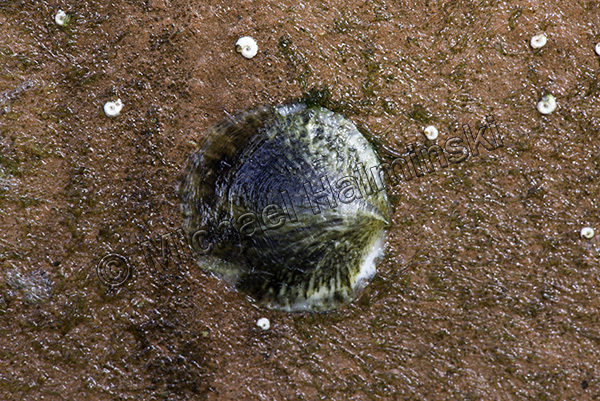 Oyster spat is set on substrate along with calcareous worm tubes. Similar spat information is collected by dozens of volunteers up and down the North Carolina coast, and goes into a research program with the Benthic Lab at UNCW. There’s no doubt that we’re hitting our peak season. With plenty of vacationers, the heat and a few mosquitos, the oysters should be spawning for the while. This entry was posted in Outer Banks, oysters, Pamlico Sound on June 28, 2014 by j0jgvm89bj.